DISGRUNTLED MPs are trying to claim for scrapped skiing holidays after the government cancelled the February half-term Commons break. The House would be sitting to ‘make progress’ on Brexit legislation, Commons leader Andrea Leadsom said — even though none has been scheduled for next week. ‘I do think our constituents will expect that the House is able to continue to make progress at this important time,’ she said yesterday. Parliament’s expenses watchdog faced requests from MPs asking if they could be refunded for cancelled breaks, including skiing trips. The SNP’s Pete Wishart joked the news that they could not went down like ‘a bucket of sick’. One MP was heard saying he would go regardless because he was ‘more scared of my wife’ than Tory chief whip Julian Smith. Asked if MPs would be expected to scrap holiday plans, No.10 said: ‘The usual channels will do everything to accommodate MPs with family commitments.’ Labour’s Ian Murray said it all looked like ‘a slimy PR move’. 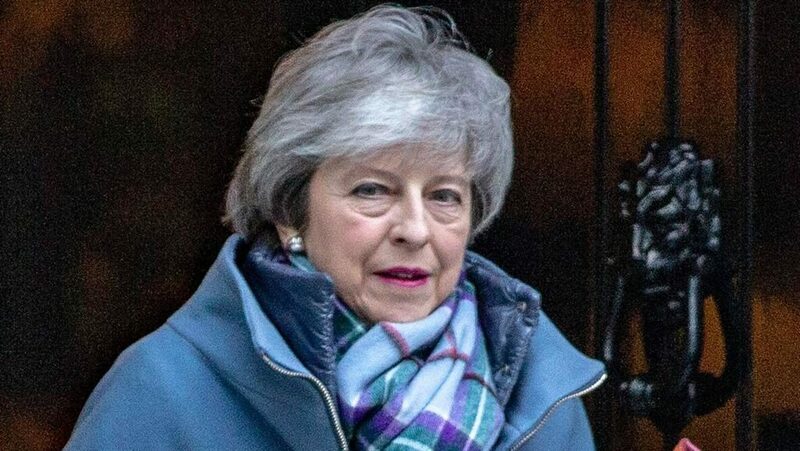 Meanwhile foreign secretary Jeremy Hunt warned Brexit may have to be delayed, even if Theresa May (pictured) persuades the EU to make concessions on the Irish border backstop in her withdrawal bill. ‘If we ended up approving a deal in the days before March 29, we might need some extra time to pass critical legislation,’ he said. ■ NEARLY a third of firms could shift some of their operations abroad because of Brexit, a poll shows. The Institute of Directors found 16 per cent already have plans in place to relocate and 13 per cent are actively considering it. Small firms are most likely to still be weighing up a move. IoD director-general Edwin Morgan said he took ‘no pleasure’ in revealing the ‘worrying signs’ but they could not be ignored.